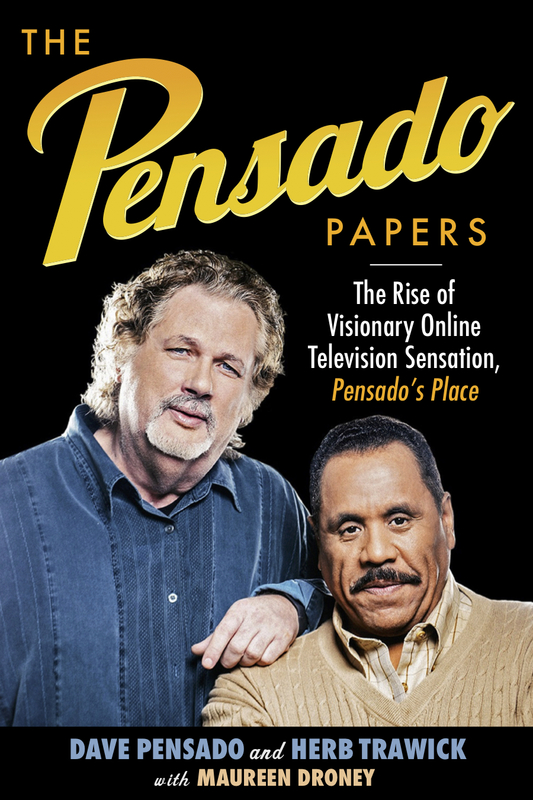 Herb Trawick is the co-host of one of the biggest audio shows on the internet, Pensado’s Place, which he started with his friend, and legendary mixer, Dave Pensado. Herb has also enjoyed a lot of success on his own through his management firm with R&B singer Brian McKnight. He also signed Robin Thicke to Interscope and got Tyrese Gibson signed to RCA. In this interview, Herb talks about how he met Dave and how Dave’s accident got them started on Pensado’s Place, using technology to network, handling the pressure and the economic shift that happened to the music business, how to use social media, dealing with the quiet time, the future of Pensado’s Place and much more! I hope you enjoy this and that you can take away some tips that you can apply to your own career as well. Could you tell us how you got started in the music industry, what were some of your early struggles and what did you learn from your experience? We also had to find producing talent and we had some producers who would become household names such as LA and Babyface, Jimmy Jam and Terry Lewis. It was a hub for innovation and for thinking outside the box where you tried to utilise music to go different places. It was a great training ground. You mentioned networking, how important is that nowadays, since we have the internet where you can reach clients without a middleman, such as a manager or a label? Today, networking has become automated and technology has made everybody network, but they don’t network in the same way. For example, if you and I got in touch through social media, it’s not the same as you and I sitting down, getting to know each other, being able to customise a project, get your philosophy, etc. It’s not that you can’t do it online but most people have shorter and briefer interactions there. I think a lot more people are connected online but they are not necessarily communicating. At the end of the day, particularly with the arts, you have to find some way to communicate and connect at the same time. Connecting can get a lot done but it can also shortchange some of the processes that might give you some insight as a producer, artist or business owner that you need to have to make the best kind of decisions. Let’s say you live in a remote town where no one is around, would it still be good networking to connect online and, for example, set up a Skype meeting? Yes, because you can’t ignore utilising your tools. Not everybody lives in Los Angeles, New York, Nashville or London but they don’t all necessarily have to either. So, utilise your tools but try to find a way to connect beyond that because not only is it good for your business, it’s good for you as a human being to keep those skills developed. Entrepreneurship, which you got taught at an early stage in your career, how important is it for an artist, producer or engineer to start studying this? Is it more relevant today than it was in the past? I think it is. When you are in the music business, which is a very entrepreneurial business anyway, you almost can’t help it, whether you have, or don’t have, a knack for it. However, there are very successful people in the arts who are not entrepreneurial and there are people who are, so it’s not a prerequisite but you have to understand that if you are making your own music and putting it out yourself, or if you are trying to find a manager, or if you are being hired as an engineer based on your credits, you are an entrepreneur. You are in it whether you want to be or not. It’s not for everybody but it’s a particular entrepreneurial driven business so you should be aware of it and cognisant that it comes with some responsibility. Of course, your show with Dave Pensado on YouTube is legendary but how did you guys actually meet and why did you start working together? Dave had just arrived in Los Angeles and we accidentally met in a recording studio. We both took a chance in each other and he became one of my early clients and I managed him for the first 5-6 years. After we went our separate ways we always stayed in touch and Dave, of course, went on to continually be successful. Then after 2011 things started up between us again and Pensado's Place was born after a medical incident Dave had. ﻿Dave had had a very small but powerful, almost stroke-like brain incident. Me and Dave were supposed to meet at my house but he didn’t show up and I didn’t know where he was. It turned out he was in the hospital and it took me a while to track him down. It was a pretty serious event, but luckily he had a pretty miraculously recovery, almost perfect, with some limitations on his left side where feeling didn’t come back. But he is a lucky guy. How did that lead you to start Pensado's Place? It started with me and Dave sitting around brainstorming about what he was going to do after the accident, he probably had to move away from being in a big commercial studio to a home studio while recovering. I told him he had such a high profile and respect among his peers that maybe he should think about doing something online. However, I wasn’t very active online and it wasn’t about a show initially, but one thing led to another and we ended up at a small digital network who were mainly doing podcasts to meet a friend of ours. By then I had started to formulate a loose idea about a show and I asked a couple of guys about my idea and they thought it was great. The next day they emailed me and said they wanted to pursue it and do a show of it. I told Dave this was his chance and that I would help him develop it, however, he was cranky and not very good at it. It’s not what he does, he is a mixing engineer, so I told him that he needed a co-host. At first, I was looking to find him another co-host but the pilot came up so fast that I had to do it with him, much to Dave’s relief, because I had been the only one rehearsing with him. After we shot the pilot the network said that I had to continue to do it with Dave as a co-host because our chemistry worked and that’s how we got started. How did you come up with the name Pensado’s Place? You touched on taking on too much work and feeling overwhelmed, how do you get yourself out of a situation like that, do you start to priories differently or do you start delegating more work to others? ﻿I do it by prioritising differently, delegating work to others or by saying no to things. Sometimes, you just have to get away from it and having a place to go, for example, the gym, spending time with your family, watching tv or go to the cinema is really important. You have to know your limitations and be able to stop, it’s critical. I’ve seen the consequences of not doing that and it can be dramatic for people, both physically and mentally and it affects not only your work but also your family and other relationships. It’s not a joke so it’s good to get into good habits early. You have been in this business way longer than I have, but I have seen this a lot, especially in the studio world, where there are so much fear and people are overworked. You are 100% correct and that can be pretty scary. The stress manifests itself in you physically and it’s not good to live under the pressure of this business constantly without having breaks. What would you advice be to people who are under a lot of pressure? You have to, both emotionally and intellectually, maintain a balance which can be very hard when bills are pressing or problems are brewing, however, relationships are very important, such as family or significant others, but it often gets overlooked. Also, whether you are male or female, trying to be macho about it, where you think you can just power through and “man up” is not always the best idea either. How can you learn when to say No, because there’s always that next project or the next cool opportunity coming in? It’s hard to say no when you need the bread and it’s hard to say no if it’s a super cool project, so people accept the work. This is where the entrepreneurial quality comes up, because the entrepreneur will always be looking for the next thing and it can be all-consuming but not necessarily in a good way all the time. Pricing has a lot to do with where you are, what your skill set is and what your track record is. There's no structured pricing anymore, which is largely due to the technology boom. Nowadays, people can get online and contact you to do a mix but only have a $200 dollar budget, also, you never know how big of a budget someone has because all you can do is post your rate online and hope that people hire you. Also, since the definition of a hit song has changed the pricing has changed, so it’s a little bit of a wild wild west where you have to feel your way through a negotiation and try to determine what makes sense and what people will pay you. It’s not as specific anymore as back in the day, where there was a certain fee range if you worked for a major label or not, or if you had a hit or not. It’s also much less clear for a lot of very big mixers and producers today, their economics has changed too, so it has affected everyone. How do you guys deal with this change in the business, was it hard in the beginning? It’s hard for everybody and there’s a ton of our guests on the show that have experienced their economics shift underneath them and who are finding their way through it. However, it’s another thing if you are hot as hell, for example, Greg Wells who did The Greatest Showman soundtrack. People like him are in a totally different place than a guy who had a hit 6 years ago but is struggling to find something because they are not on the same radar anymore. Many people in this industry experience quiet times where not much work is coming in, is this something you have experienced and how do you deal with those situations? It drives you crazy because you don’t know if your career is over. Just like back in the day when actors would say they didn’t know where their next job would be coming from, no matter how successful they were, it’s the same for us and that’s what makes it so pressure-filled. Also, let’s say you are hot as hell and your phone is ringing off the hook, you don’t how long that’s gonna last, so you’re constantly pushing yourself to try to keep it going. And the toughest part is when that goes away, which you see in folks when you get older. Guys that were on top of their game and now nobody will take his or her call. That side of the show business is brutal and not everybody gets through that. Let’s talk about social media, I see many artists, producers and engineers who use it to only promote themselves and their latest tracks, rather than engaging people in a conversation and starting a discussion about various topics. What are your thoughts about this? Social media is critical to us at Pensado’s Place and we have people that do it for us. However, the problem with social media is that you can run out of ideas of what to post, that's why you see a lot of people posts about themselves because they don’t have anything else to talk about or don’t have the creativity to do it. It’s much more important to be engaging and at Pensado’s Place that’s Dave and me because there is a chemistry and a goofiness between us. We called it “edutainment” where we can educate and entertain at the same time, which seem to resonate with people. Now, for social media, the downside for that is that for some people that’s interesting and for others, it isn’t. This is why I tend to focus on engagement much more than subscribers and reach because I think that’s an arms race that no one can win, because how do you get to the end of the internet? Furthermore, once you have built a base on social media it’s important to nurture it. Just like dating social media is a relationship, and you have to keep up, but I don't think it’s impossible to imagine that you can run out of gas. Could you tell us what does the future of Pensado’s Place looks like? Any particular plans? We have a number of opportunities and challenges in front of us. Where we are now it’s more about institutional partnerships, for instance, the NAAM convention we do every year, also, certain institutional partnerships for sponsorships that are bigger and deeper. For the show I want to have different segments, for example, having different correspondents from different parts of the world who could submit 2-3 minutes of audio stories of what's going on in their countries. Also, to continue to push the audio guest envelope, for example, having people from audio in sports, medicine and forensics. Also, we are having someone from YouTube and spatial audio to talk about what goes on in their spaces. We are hoping that will continue making the audio journey interesting. We might not do the award show this year because we have some different people talking to us about that, however, I like to include a partner for the award show because it has become something that, for the creative community, took on much more importance quicker than I thought. But it’s super expensive and very hard to do, and it’s one of those things you have to say no to because it puts me in the hospital every year.